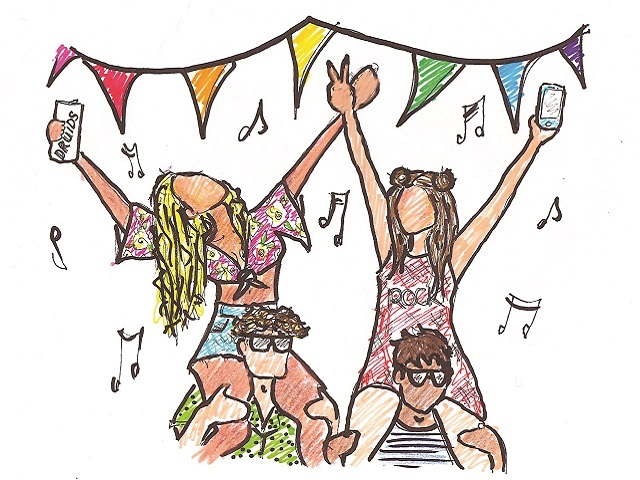 HomeThe HypeMusicFestivals – A celebration of music or an excuse to get wasted? The Irish festival scene has exploded over the last decade with new festivals springing up seemingly overnight to cater to the different kinds of revellers. The selection of different genres is pretty impressive, but one common trend across them is the overindulgence of alcohol. True, we all like a few pints from time to time, but is spending silly amounts of money on a ticket for a festival only to not remember any of it really in good fun? Or, maybe we have a serious problem growing in this country; Do people really go to festivals for the love of music or is the only aim to get as drunk as possible? The Central Statistics Office figures for alcohol consumption in Ireland for 2015 showed that 81% percent of adults drank regularly. This is a huge figure to consider but to many it may not be surprising. Anybody who has attended a festival has probably witnessed someone, if not many people, stumbling around looking for their friends or worse yet, hovering over a bin and reintroducing their cheap alcohol to the world. When DJ Hardwell played in Belfast in 2014, 108 people of the 10,000 in attendance were hospitalised and that does not even include the estimated 300 people who were refused entry to the Odyssey Arena. This put a great deal of pressure on the Northern Irish Ambulance Service, who described the event as a “disaster zone”. This is just one example of this kind of thing taking place. If you look at the companies that sponsor festivals, many of them are different brands of alcohol. Promotions are offered, draught beer is available by the bucketful and the sunshine is more than enough of a reason to treat yourself. While looking at the issues around alcohol and festivals, you can’t ignore the fact that little is done to prevent potential overindulgence. On the other hand, alcohol can be a great crutch to deal with social awkwardness, especially in a festival setting. You are in a campsite with hundreds of other people who are here for the same reason as you, meaning you already have something in common. A couple of cans can lighten the mood and make it easier to approach strangers for a chat. You can make some pals for the weekend, something that will nearly definitely enhance your festival experience. It’s far from difficult to understand why people drink at these large scale events. The statistics found on the CSO point to a more unequivocal grasp of alcohol on society, not just when it comes to festivals and concerts. While some people will go to festivals to get drunk, others will go for the love of music; the same can be said for any event. To point the finger solely at festivals is unjustified, when stories of people attending sports games and getting intoxicated are common too. Still, overindulging in alcohol at festivals is becoming a clear problem in Irish society, especially among the younger generation.